Can I Add Injectables to My Skin-Tightening Treatment? When it comes to achieving a truly youthful appearance, you know that skin-tightening alone is not enough. Sure, it makes for a great start; after all, you don’t want skin drooping around your jawline, neck, or your eyebrows. But for truly young results, you need to add a little something extra. Before we dive into the question of adding injectables, let’s first take a look at one of the most effective (and non-invasive) skin-tightening treatments available: Profound RF. This technology uses radiofrequency energy (that’s what the RF stands for) to heat up the subdermal tissue of the targeted area, thus creating an almost-immediate tightening of the skin. Additionally, the heat triggers the body’s collagen and elastin production, resulting in faster cellular turnover and younger-looking skin. Profound RF is an excellent treatment for patients looking for immediate skin-tightening results, but who may also want to extend those results over the long-term. Many patients who aren’t yet candidates for a traditional facelift see great results with a few Profound RF sessions. One of the biggest benefits to the Profound RF treatment is that it’s easy to add injectables once your results are visible. For example, if you had Profound RF treatments done to tighten skin around your eyes, dermal fillers could create more youthful results by adding volume to the cheeks and underneath the eyes. Not sure which injectables you want to add to your Profound RF treatment? Not to worry – we’ll schedule a consultation with you and help you better understand what results you can expect from combining these two treatments. I am a mom of five boys, three of which are being seen regularly by Dr Neyman. Dr Neyman and her staff are fabulous. They are patient, kind and professional. I am a very busy mom and every time we show up for an appointment there is little to no wait. I never feel rushed. Dr Neyman is always willing to answer all our questions and gives us her full time at every appointment. I am so thankful to have found her, as a good Dr is hard to find. I recommend her to all my friends and would highly recommend her to everyone. 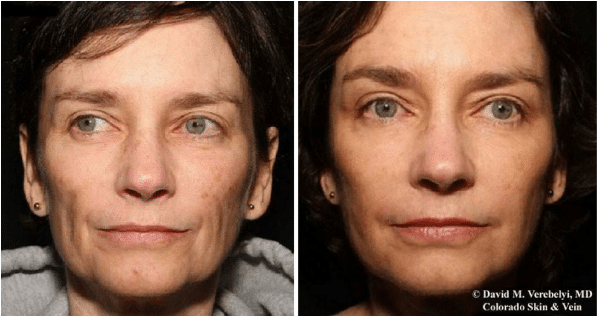 By Colorado Skin and Vein| 2019-04-10T07:51:55-06:00 March 19th, 2019|Dermal Fillers, Profound RF|Comments Off on Can I Add Injectables to My Skin-Tightening Treatment? Does the Size of My Tattoo Affect the Cost of Laser Tattoo Removal? How Much Does a Non-Surgical Facelift Cost in Denver?